The Yosemite Pioneer History Center is located in Wawona, about 4 miles from the South entrance to Yosemite National Park. The site is comprised of a collection of historic buildings from different eras in Yosemite’s history…built by industrious men and unique to the Pioneer Yosemite History Center. 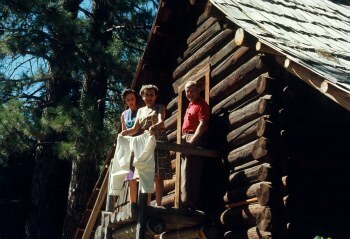 Each building was constructed to serve its’ original purpose in different locations around Yosemite, and was eventually moved to Wawona in the late 1950’s for its’ preservation and protection. Walking among them…it is important to keep in mind that each building is historically significant and played an important role in its’ respective chapter in the story of Yosemite’s pioneers. The idea for the Pioneer Yosemite History Center came when the flood of 1955 crippled and nearly destroyed the old covered bridge across the Merced River. 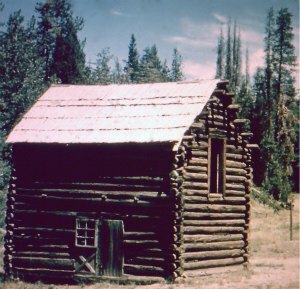 The historic preservation of man-made structures within National Parks was not a priority for the national park service at that time, with natural scenery considered the “highest use”. This meant that all historic structures around the park were at risk no matter what their historical significance. Fortunately for us all, in the late 1950’s this thinking began to change as the importance of the story of the park, (including its “human history”), was recognized. 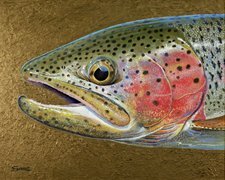 Yosemite has been fortunate to have superintendents who were interested in saving the park's unique human history. Outstanding among these were Carl Russell the author of "100 Years in Yosemite" and later John Preston. 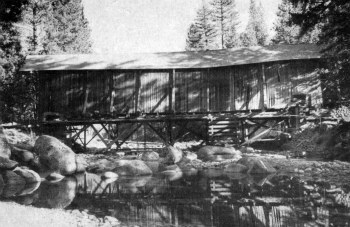 It was during John’s superintendency that the old Wawona Covered Bridge, one of only several in the National Park System, threatened to collapse under its’ own weight into the South Fork of the Merced River. Fortunately for us, we were able to find a talented local builder in the nearby Mariposa foothills. His name was Glenn Gordo, and no construction job was too big for him. Gordo quickly became the key figure in the big bridge project. Upon its’ successful completion, he and his crew would shift their focus. Next was the moving of scattered historical buildings from their various locations around the park to what would become the Pioneer Yosemite History Center. His able assistant in these projects included Ed Whittemore and other skilled and innovative craftsmen. But the first and most time critical project undertaken was saving the old covered bridge. Its’ long timbers were rotting and successive floods had added additional stresses to the sagging structure. It had been closed even to pedestrians. Gordo and his workmen shored up, braced and brought the bridge back to level. Then using pieces of heavy pipe for rollers and the winch of their bulldozer for power, the old bridge was slowly pulled onto the river bank for repair and restoration. Ingeniously, the disassembly of the bridge was begun by firing a series of very light dynamite charges placed beneath the roof. This took off the shakes in one operation and loosened the nails that had held them. Once the deteriorating timbers, siding and roof were replaced, the reassembly process was completed and the old covered bridge was ready to be rolled back into its original location, where it still sits today. 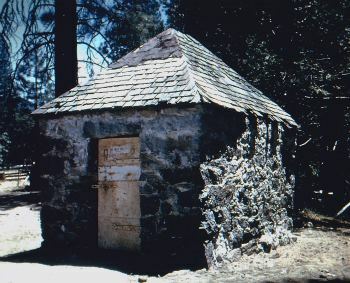 A historic little pioneer house in Yosemite Valley that had been built in the days of the army administration of the park was being threatened with destruction. It stood in the path of a proposed new road to the base of Yosemite Falls. Gordo and his crew were once again called in. Using a crane, they successfully lifted the houses roof off in one piece. The remains of the building were then carefully winched up and onto a second flat-bed truck and the two sections were driven to their new home in Wawona. Both were safely removed and reassembled near the location of the covered bridge. Once restored, it became the office of the army superintendent. Furnishings were appropriate down to a rack of .45/70 Springfield carbines…the weapons that were carried by the cavalry when they administered the park before the turn of the century. An interesting coincidence is that in thumbing through the reports of the army superintendent from 1898, a photograph was found of this same little building. It showed that it had been originally built at Camp A. E. Wood, less than a mile from where it stands today! The old photograph was sharp enough that the sign above the door could be copied exactly and a “new” replacement was put back in its’ proper place. 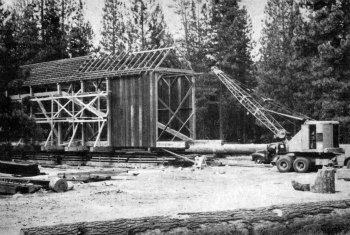 This was the beginning of a series of unique and complex engineering challenges as various old historic structures from around the park were saved by moving them to the Pioneer History Center at Wawona. The old two-story cabin from Aspen Valley was the next to find a new home in Wawona. Because of its size and construction of logs it was first carefully photographed. Each log was then numbered to help in reassembly before being disassembled and trucked across the park. Author Margaret Schlichtmann was familiar with the history of many of these historic old pioneer buildings from researching her book; Big Oak Flat Road to Yosemite. 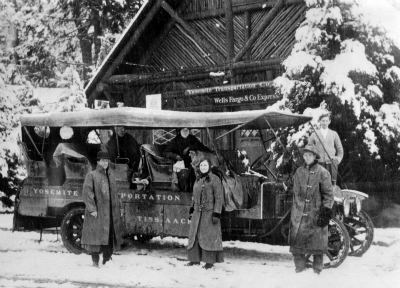 When asked for her advice as to how the Hodgdon house would have been furnished after its’ relocation to Wawona… her surprising reply was, "Send a truck!" Two naturalists, Bob Carpenter and Bill Bullard drove to the Schlichtmann home in San Leandro and returned with everything that was needed to furnish the cabin. 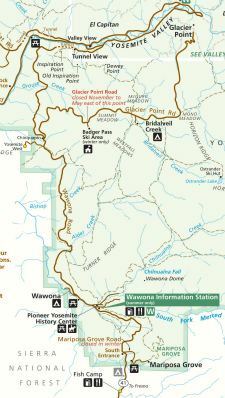 After that, Margaret and her husband Emil would come to Wawona every summer, and they would stay at the Wawona Hotel for two weeks each time. Their first order of business was to clean and polish the cabin's furnishings…then Margaret would become Mrs. Hodgdon. Sitting in a rocker on the front porch she would tell stories of the pioneers to the visitors. 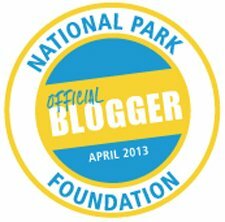 Her program was the park's first living history! After these first learning experiences, moving log cabins became easier. 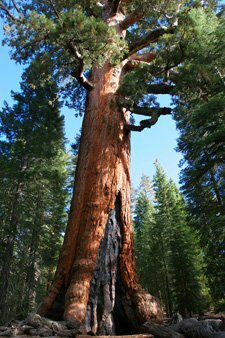 Next to come to Wawona was the Anderson cabin from Foresta…George Anderson was the climber had gained fame by being the first to scale the face of Half Dome in 1875. 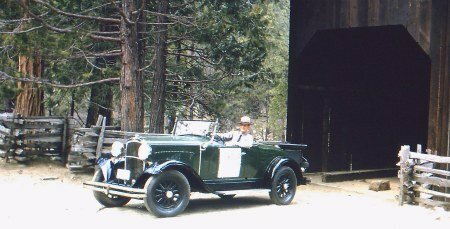 A cabin built by artist Chris Jorgensen for his son Virgil was moved from its location beside the Sentinel Bridge in Yosemite Valley, and then came the old ranger station from Crane Flat. Each was furnished to the period of time of its use. Pioneer living history demonstrators later baked bread and made coffee on the old wood stove of the ranger cabin. They would often share both with the visitors who had been attracted by the delicious aromas. The old jail from Yosemite Valley was a different challenge from the wooden structures and gave Gordo some headaches. Constructed of rough granite blocks and soft mortar it had a foot or so of sand standing above its ceiling…a fireproofing technique dating back to its early use as a powder magazine. The solution for how to prepare it for moving was to remove enough rock from the back wall to separate the building into two separate parts. The sections were then shored up with heavy vertical timbers. 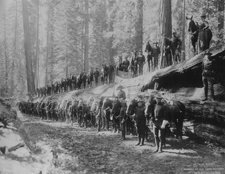 Each side was braced so that the rocks couldn't move and shake themselves loose as they rode on a bed of old tires toward their new home in Wawona. The Wells Fargo Building from the Old Pioneer Village in Yosemite Valley was too wide to fit the opening for the Wawona Tunnel. With his typical ingenuity, Gordo determined that he could cut it down the middle with a chainsaw. He would then remove about a yard of flooring from the main hall of the building. Once cut and removed, they would push the two sides of the building together and secure them tightly with cables in preparation for the trip. Fortunately traffic was light during the early morning hours after midnight when the Wells Fargo building was moved from the valley. Its roof had been removed, and it was slowly towed on house-mover's wheels through the tunnel, scraping the sides a little every now and then as it went! For safety, a portable generator was placed in the building which lit dozens of light bulbs draped around it. A foundation had already been cast in anticipation of the buildings arrival, and so it wasn't long before the Wells Fargo building was safe in its’ new home. A sign painter then added the final touches of authenticity by copying the signage for the building from old historical photos. One of the park electricians remembered how to hook up the crows-foot battery jars that provided power for the telegraph key, and once again the Yosemite Valley Wells Fargo office was “connected” with the rest of the world. The one structure that was never moved and is in its original location near the south end of the pioneer covered bridge is the old wagon shop. Unique exhibits included the famous old stagecoach named “Buckshot” on which tiny lights were positioned to identify the various wagon parts by their strange names. The gooseneck, whippletree, winkerstay and other pieces were each illuminated when a visitor pressed the button with the right name. Old "Pop" Miller's blacksmith shop was located at the rear of the building. 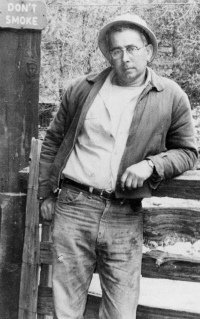 Miller had come to Yosemite as a blacksmith-wheelwright-farrier with the cavalry way back when. After the cavalry left, he stayed on to work for the National Park Service…and he did until the day he retired. At 5:00 p.m. on the day that he finally did retire, there was a terrible commotion at the back of his shop. Not needing to get up in the morning for work any longer, “Pop” had taken his faithful alarm clock and had beaten it flat in the blacksmith shop with his trip hammer! The park assembled a fine collection of horse drawn vehicles, which were displayed beneath an open shed built by Gordo and his crew, from local native materials. Some of the wagons were complete with their harnesses and in excellent condition, and others were in disrepair and showed the ravages of time. We pleaded for help from the regional office of the NPS for money to help restore and preserve the wagons, and were happily surprised one spring morning to get a phone call saying that ten-thousand dollars would be made available. The condition was that the money would have to be spent by the end of the fiscal year in June…an almost impossible timetable. 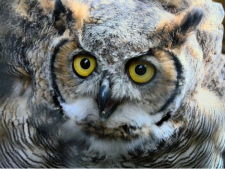 Naturalists began scrambling in all directions. A shop was quickly found that could do the leather cushions. 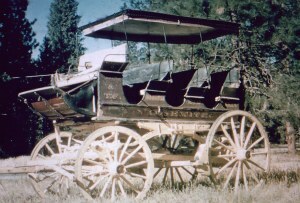 A skilled painter who could handle the fine detail work required for the names, numbers and vignettes from the old stagecoaches, (while matching the original), was next. The most difficult of all to find was a wheel-wright. 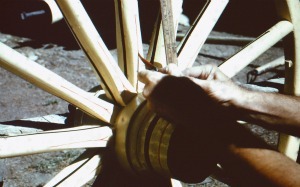 By word of mouth, one was finally located up in the hills above Sonora where he had learned how to repair and rebuild wagon wheels from his pioneer father. He had the original machinery that was designed to build the metal rims and that would then shrink them onto the wooden wheels in a cold water bath while they were still red hot. It was a challenge, but all of the money was used for its’ intended purposes, and the Pioneer Yosemite History Center in Wawona was born! 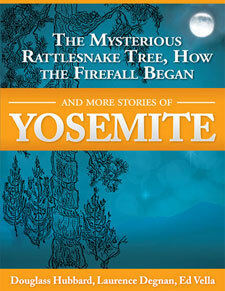 To return to the Home Page from Yosemite Pioneer History please click here. The US Army. Yosemite's First Caretakers.